If you have an insurance policy, you might think that this entitles you to funds when something bad happens. Unfortunately, this is not always the case. Making a first party insurance claim is not always enough to get the money that you need. Often times, you will need the help of a good attorney to get a fair insurance settlement. The attorneys at Zinda Law Group are here to help when you're in that tough spot. In the interim, here are some frequently asked questions about first party insurance claims. What is a first party insurance claim? A first party claim means that you are the policy holder and you are filing a claim for damage covered by your policy. If you have car insurance, a first party claim would be filed after you were hit on the road. A homeowner might file a first party claim when his or her home is burned down. As a first party claimant, you are asserting that you have a right to payment under the policy. Why wouldn't an insurance company honor my first party claim? In the ideal world, all businesses are fair and they all look to provide their clients with the highest levels of service. Sometimes, though, insurance companies try to save money by acting in bad faith. If you are an Austin, TX policy holder, you may run into problems with insurance providers who are looking for ways to avoid paying you. What should I do before I file a first party insurance claim? The first thing you should do before filing a large claim is to contact a skilled Austin attorney. The lawyers at Zinda Law Group are very familiar with the tricks that insurance providers throw at their customers. A good lawyer can help you file the claim in the right time frame and with the right information. What are my options when an insurance provider refuses my claim? Insurance companies may refuse your claim either in part or in its entirety. If you are filing a legitimate claim, then you have some options once your insurance company makes this choice. You can file a lawsuit in a Texas court, and you might rely on a jury to enforce your insurance contract. You might also put pressure on the insurance company by filing this lawsuit. They will be much more likely to settle the claim if they know that you are serious about taking them to court. When you find yourself with an insurance company that's either delaying your claim or refusing to pay, a good lawyer can help. 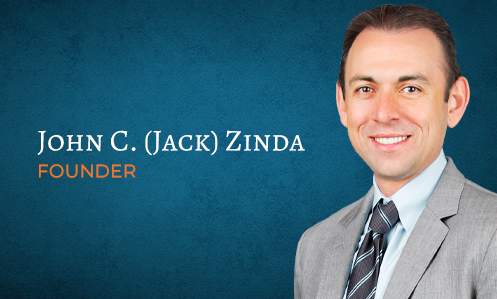 The attorneys at Zinda Law Group help their clients come up with solutions. This could be going to court, working out a settlement, or putting pressure on the insurance provider. There is no reason to stand idly by as an insurance company disregards your contract.